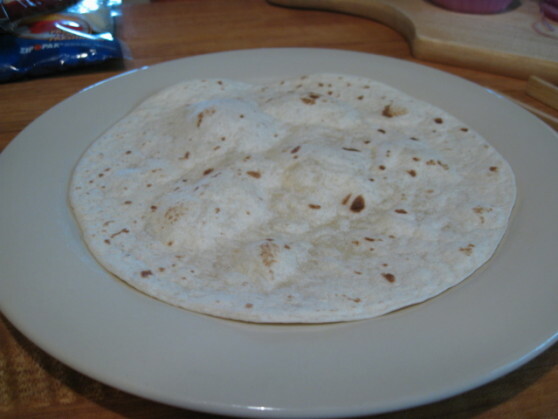 First – get yourself a package of 12″ tortillas. Toss one or 2 in your toaster oven or big oven at about 350° – we’ve tried spraying them with EVOO, but that just makes them tough. Don’t do it. After about a minute or so the tortillas will be bubbly and slightly crisp. Do NOT over cook at this point. You’re just trying to get them ‘started’ – sort of firming them up as a crust to build on. 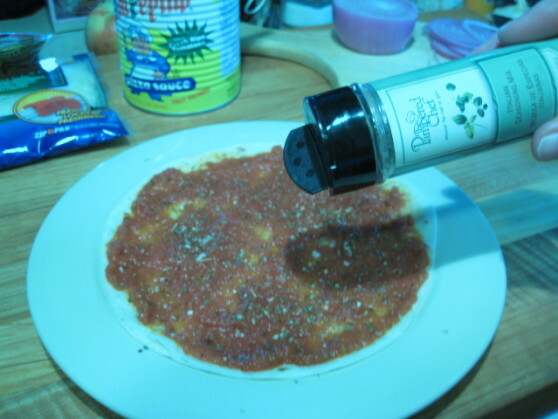 Get out your favorite pizza sauce. 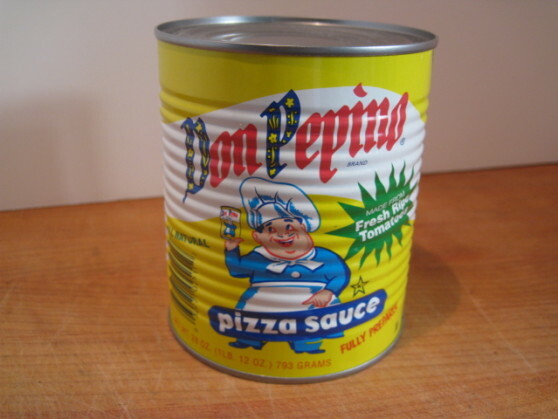 We love the Don Pepino Pizza Sauce. It’s sweet, saucy, only slightly chunky… just an all around great pizza sauce that you can doctor up if you want to. We like it just as it is. Speaking of doctoring up the sauce, Marilyn loves to add Pampered Chef Italian Seasoning (onion, garlic, oregano, basil, marjoram, herbs, spices) … it’s all good. Add your favorite cheese and toppings. 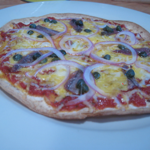 I love me the anchovies and capers with onions, Marilyn likes onions and pepperoni slices. Assemble your pizza(s) and bake for 5-8 minutes at 350° and you’re good to go. Do NOT overcook! Watch them closely as you learn your oven temp and how quickly it cooks these easy pizzas. Another great thing about these little pizzas, is that you can gather lots of different ingredients, and everyone can build their own yummy masterpiece. Kids love making their own food, and your friends will appreciate not having your anchovies touching their pepperoni – or vice versa! Dang, that does look very tasty. @Mik – very tasty and very easy. The variations are endless too. Yay! Something else I know I can make. The kiddos love it when we make individual pizzas. I hadn’t ever thought of using tortillas before. Thanks for the idea. 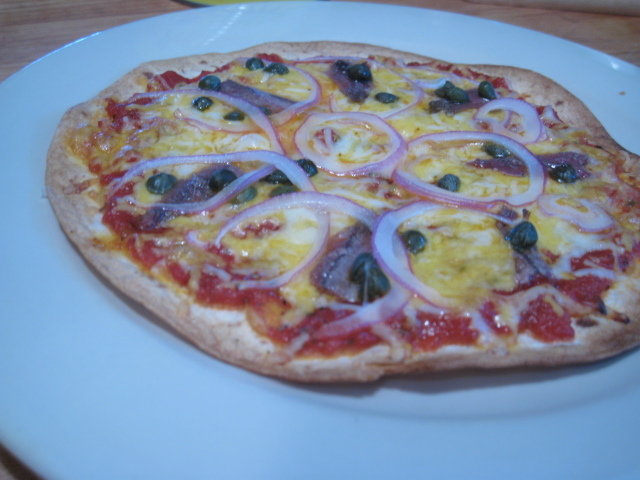 @tab- what kind of pizza sauce do you like on your home-made individual pizzas? Well the kids voted for the pizza’s tonight , and wings , chipotle burgers , corn on cob and watermelon tomorrow …… can’t wait ! A couple weeks ago we made some Habanero ranch burgers they were very tasty n hot !